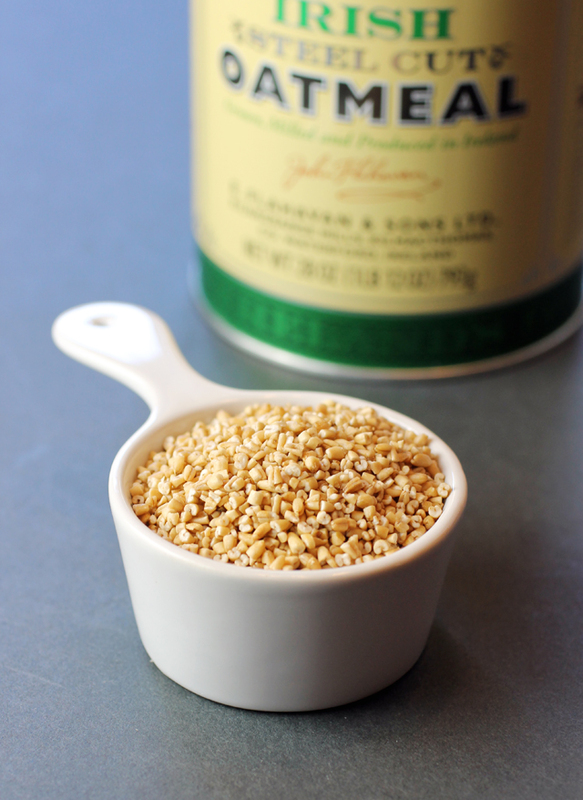 Flahavan’s Irish Steel cut Oatmeal has been made at a family mill for more than 200 years. Steel-cut oats are whole oat groats, the least processed of oat cereals. As a result, they take longer to cook — about 30 minutes. Their texture is also denser and a lot chewier. Studies have shown that the nutritional differences between steel-cut oats and rolled oats (like your Quaker ones) is fairly negligible. But I think it definitely fills you up more and for far longer. Flahavan’s can be found at select Whole Foods, Mollie Stone’s, Lunardi’s, Bristol Farms, and other stores. A 28-ounce tin is about $9.60. I receive so many cookbooks to review that it’s rare that I have the time or the inclination to revisit them after cooking one recipe from them. 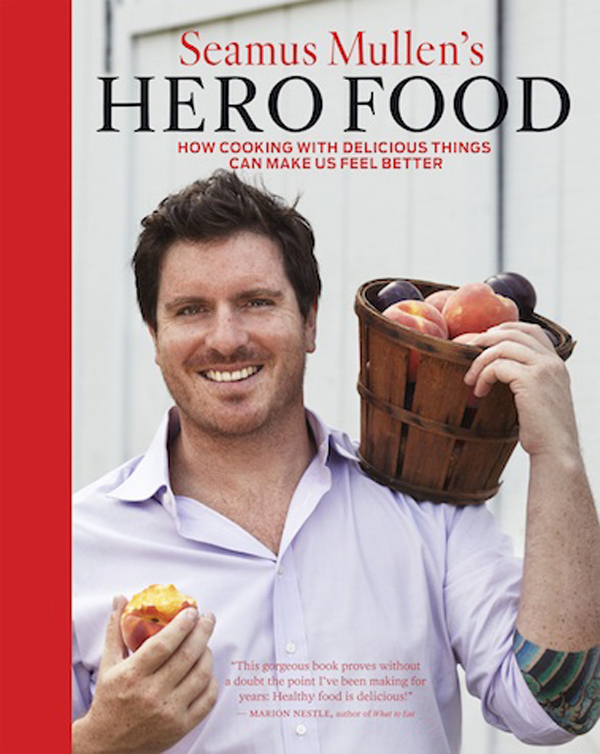 But Seamus Mullen’s “Hero Food” (Andrews McMeel), which I received a review copy of when it published in 2012, is an exception. 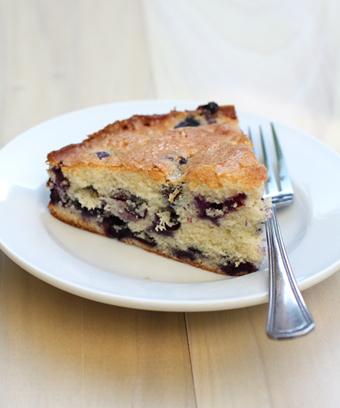 I had been wanting to return to this book by the New York chef, who owns several restaurants, including Tertulia and El Colmado in Manhattan, after baking his blueberry cake from that tome, which has become a favorite. His “Risotto of Irish Oats” gave me such an opportunity. When Mullen was only 32, he was diagnosed with rheumatoid arthritis, an auto-immune disease that can cause debilitating inflammation. Although he doesn’t necessarily believe food alone can cure illness, he does believe that you are what you eat. As such, this cookbook spotlights 18 healthful ingredients he believes are key to better well-being. Among them are whole grains such as steel-cut oats. 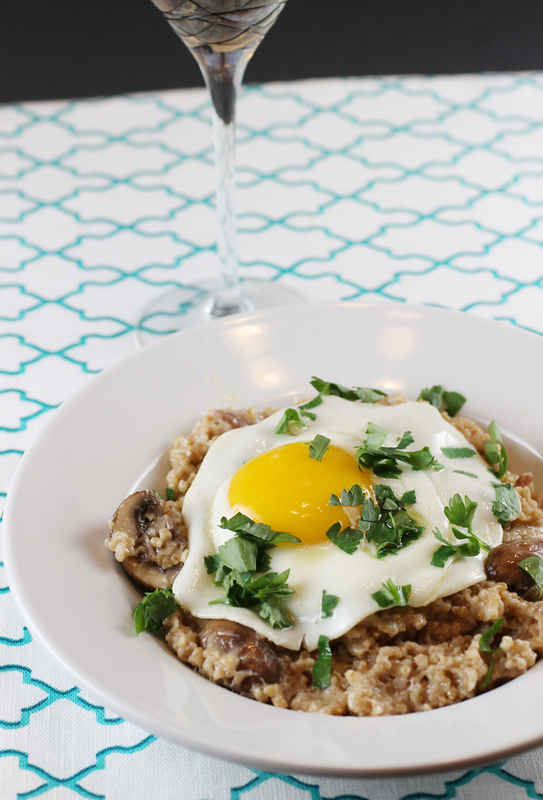 Cooking steel-cut oats like risotto is quite straight-forward. It really just requires a lot of arm muscle because you’ll be stirring at the stove-top for awhile. Wild mushrooms, smoked bacon, shallots, white wine and Irish cheddar cheese give this savory oatmeal extra heft and a big punch of smoky, earthy flavors. Mullen suggests adding a sunny side-up egg on top when serving. I think it’s a must-do, because when you break the yolk, it oozes into the thick, hearty oats to give it added creaminess and interest. The steel-cut oats slurp up a lot of stock and stiffen quickly. So much so that I amended the recipe to call for 5 cups chicken stock rather than 4 because the oats readily absorb a considerable amount of liquid. If you want an even looser consistency, you can add even more stock or some water. This is a stick-to-your-ribs kind of dish, the kind of one-bowl meal you tuck into in front of the TV with your legs crossed under you for maximum ease. My husband sat down just like that to his first bowl of savory oatmeal topped with a happy egg. He poked a spoon in tentatively and took his first taste. Yup, in my house, that’s the norm, too, when it comes to a compliment. Warm the olive oil in a large heavy-bottomed pot over medium heat and add the bacon. Saute until golden brown. Add the shallots and mushrooms and saute until the shallots are translucent, about 2 minutes. Add the vinegar, cook for 30 seconds, and add the white wine. Cook until the alcohol has evaporated, about 2 minutes. The mushrooms should be moist and there should still be a little liquid in the bottom of the pot. Toss in the oats, then a ladleful of the chicken stock, and stir with a rubber spatula. 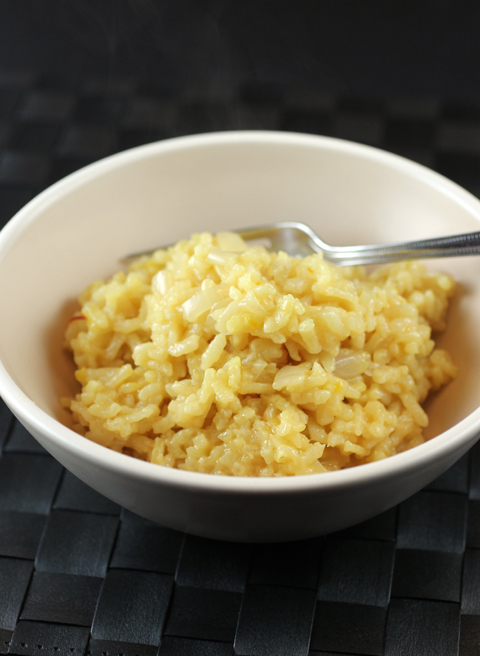 As the oats absorb the liquid, add a bit more stock just as you would to make risotto, stirring the whole time — about 15 minutes. 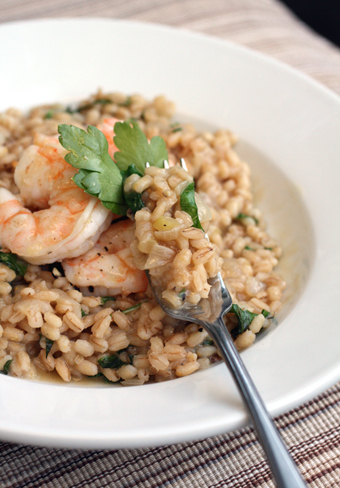 Stirring helps the starch in the oats come together and lends a nice creamy texture to the risotto. Once the oats are fully cooked through, about 15 minutes more, fold in the cheese and then the butter. Adjust seasoning as needed. Serve with a fried egg, if you like, and a sprinkling of parsley. Think of this as a main course that’s perfect paired with a salad.